What were the challenges you wanted Helen's help with? Like many event riders, I always felt that showjumping was my "Achilles Heel". Although I can perform well in training, I have always struggled to replicate that consistently in competition, despite having a horse who is a good careful jumper. On occasion, my nerves could escalate, before the showjumping phase of an event, to the point where my round would become three minutes of crisis management rather than a round which I rode from fence to fence. I would enter the arena with a blank head, despite knowing I should deploy my training when my horse most needed it. Being careful makes him backward so he needs positive riding from the moment he enters the ring and, without it, rails would fall. Helen helped me talk through what was happening and identify my lack of self belief. She then gave me tools to calm nerves at a competition and to boost and restore self belief on a day to day basis. I have found the breathing techniques the most useful. I use these when getting ready for showjumping, when walking the course and when warming up. They give me something else to think about and stop my mind from focussing on any thoughts of self doubt. They gave me a chance to talk openly to someone about what was going on and about how debilitating I found it. I have a good horse and really didn't want my "showjumping nerves" to be the limiting factor in our performance and achievements together. I was sceptical about finding a way through and about what I would be asked to do but Helen offered several options so I was able to choose what felt right for me. I now feel a different rider when approaching the showjumping, although am quick to use my breathing techniques at the first flutter of a butterfly! In preparation for our/my first Advanced event, I competed in two 1.30m BS classes, coming second in the second one, with just a single rail down. We then showjumped clear in our first BE Advanced, at Wellington, and again in the Advanced, at Little Downham. 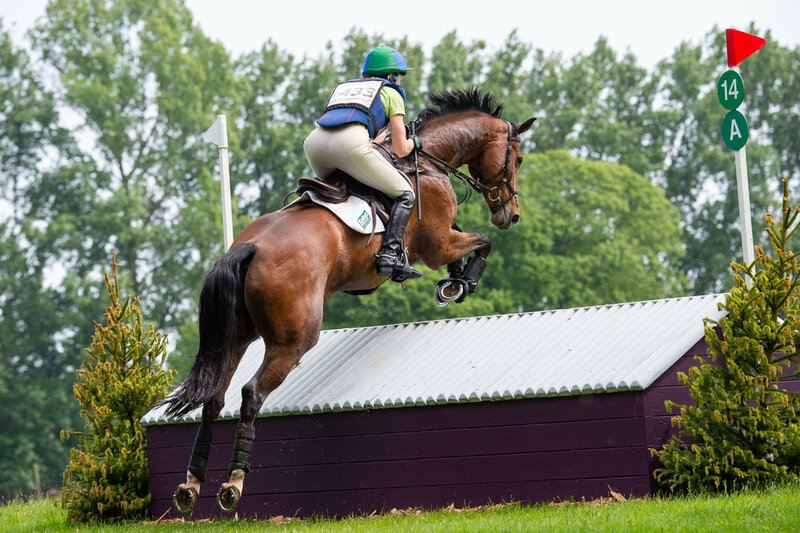 We completed Wellington with just one green stop xc but showjumping clear made up for that. We had a silly stop and unseated rider, on the xc at Little Downham, but, again, showjumping clear was a massive achievement. I'm no "spring chicken" and have found my "horse of a lifetime" rather late. Together we have achieved more than I ever imagined. I would never have dreamt that competing at 3* could ever be a realistic goal but it is! I had read books and attended talks by Sports Psychologists, which I found really helpful but tailored advice takes this to the next level - if you're serious about changing things, it's definitely worth it. Helen was understanding and totally unfazed and unsurprised by the issues I had and my doubts that I could be helped. It was reassuring to hear her explanations for why I felt the way I did and how things could be changed. You have to work at it, and put trust in her advice at a time when your brain could be telling you otherwise, but it's worth it. I felt that, if one thing didn't work, Helen would have another technique to offer, which meant I was more confident to give it a go.